Nine channels from the Discovery Network are now available to CentraCom Cable TV Subscribers through WatchTVEverywhere. CentraCom Cable TV subscribers now have access to 64 channels to stream from anywhere on nearly any Internet connected device. Now there’s one app with a world of Discovery. 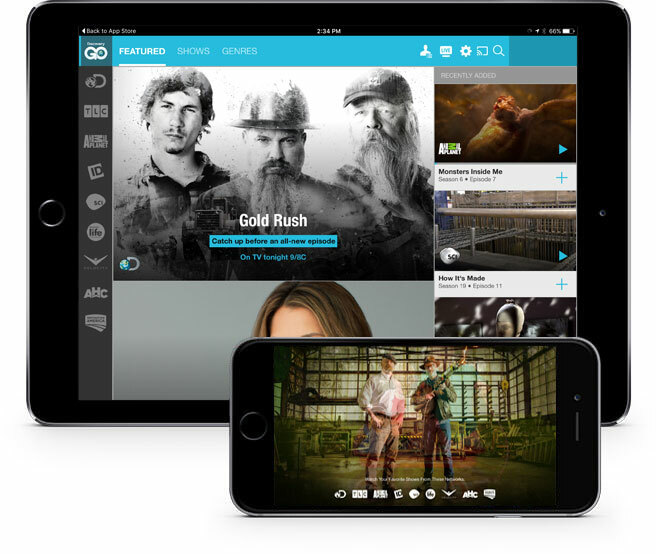 Discovery GO is a single app that lets you watch a live stream, full episodes and specials from Discovery Channel, TLC, Animal Planet, Investigation Discovery, Science Channel, Destination America, American Heroes Channel, Discovery Life, and Velocity in wherever you are on your smartphone or tablet. Watch new episodes in Discovery GO the morning after they air on TV. Binge on episodes from past seasons and rediscover some of your favorite specials. Watch on your TV with Chromecast. Discovery GO. A family of networks for everyone in your family. Get the app for your mobile device.